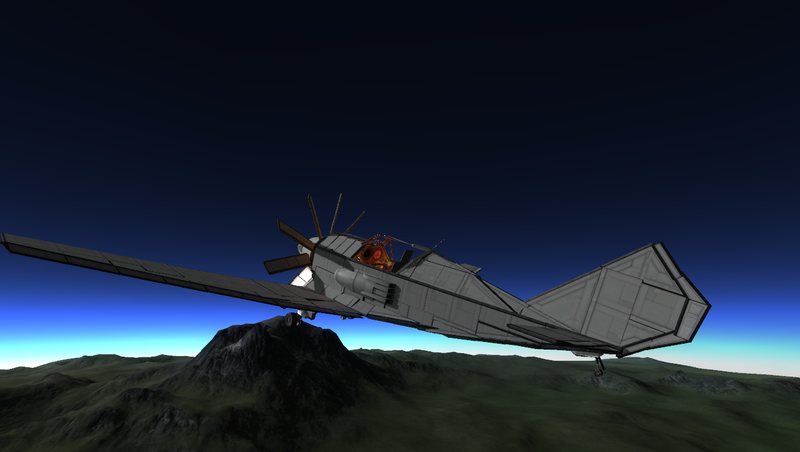 A stock aircraft called 77I-AZI1 Yodeling Yak. Built with 451 of the finest parts. 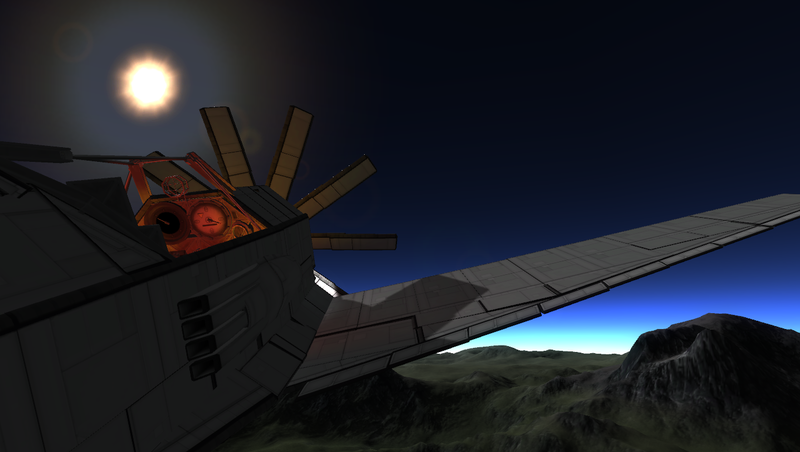 This is my best engine yet, it’s a 4 blower 8 blade turboprop, with 10 propeller blades. 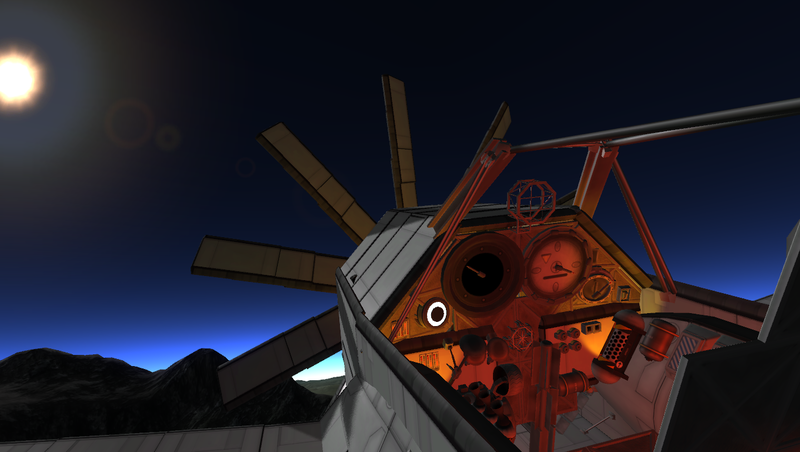 Max altitude is around 8200m. 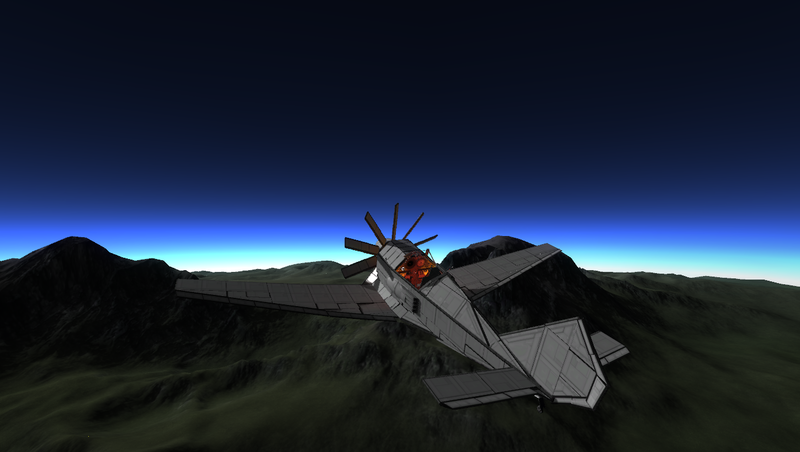 Top speed is around 75m/s in level flight. 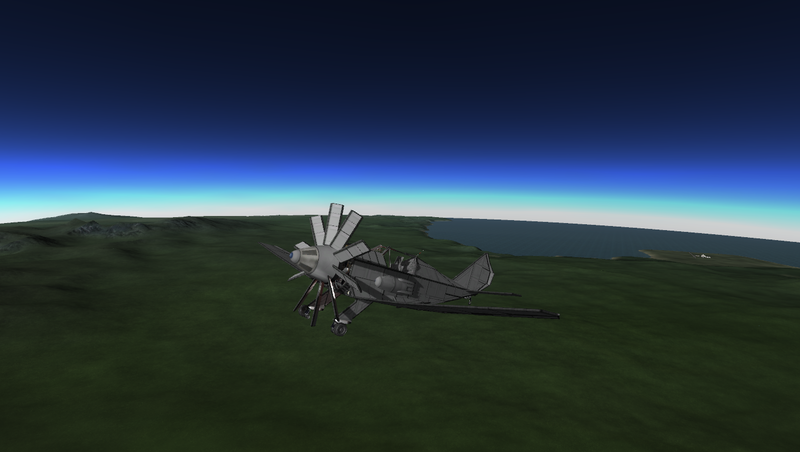 Flight time at full power: around 45 minutes. Mass: ~ 30t.